Coming from Alston travel south on the B6277 towards Garrigill for 1.4 miles, then turn right onto the unnamed road, signposted to Bleagate. Approximately 0.5 miles down the road take the track which bears right. You will pass between two properties, High Nest and High Nest Farm; continue down the track until you reach Low Nest. 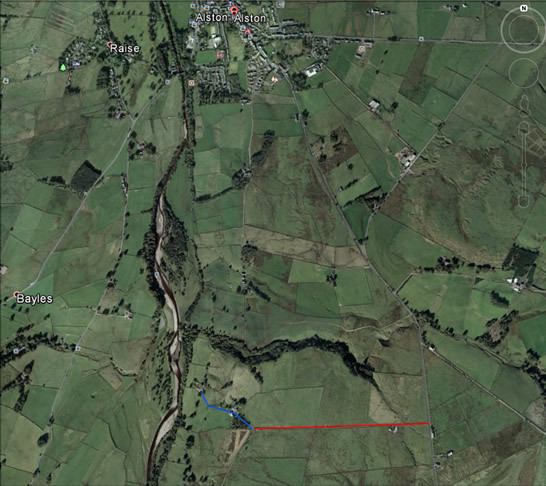 Travelling northwest on the B6277 from Barnard Castle, once you have past the turning for Garrigill take the third left (the one after the Alston Golf Course) onto the unnamed road signposted to Bleagate. Approximately 0.5 miles down the road take the track which bears right. You will pass between two properties, High Nest and High Nest Farm; continue down the track until you reach Low Nest.